Digital Marketing in itself a very vast concept and it changes as search engines change its algorithms. Day by day Google trying to improve its AI according to user behaviors. To keep engaging its users the results we see on SERP also changes randomly. As the trends go on changing each year, the digital marketer also has to work according to a search engine and users. So, how will you know these trends? And How you can work according to users behavior? AI is the digital child of the internet, it observes, records, and interprets data like small children do in order to learn, understand, feel and be error-free and accurate in the future. It puts an end to guesswork, repetitive work and task is understood by it and taken care of, makes it easy for decision making, understands the user well and only showcase the necessary and relatable information. It keeps on learning new algorithms for future searches and results to make it effective and insightful for the users. Break down the task into smaller packages and analyses better for individual searches. It records maximum data for deeper and valuable insights for a better experience for the audience and viewers. 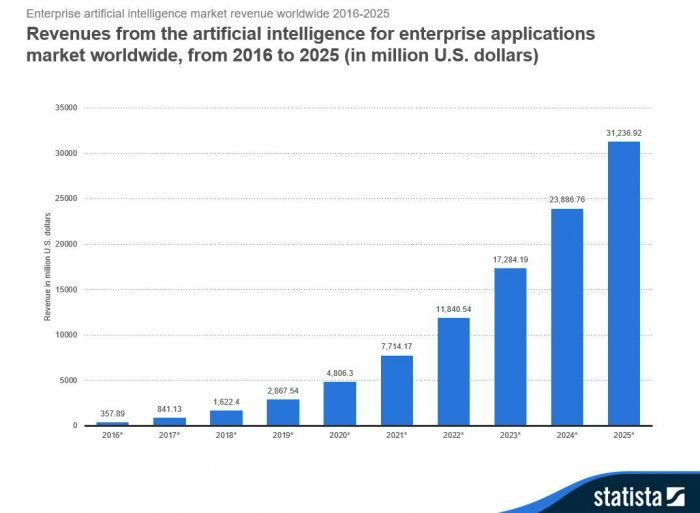 Chatbots are the result of strong Artificial Intelligence. Hashtags have become the new keywords and you can search almost anything with it. Your posts, pictures, videos everything has become incomplete without the proper hashtags. Hashtags are for millennials and people have started using it in the real world itself. With the new feature, you can follow your favorite hashtags on Instagram. 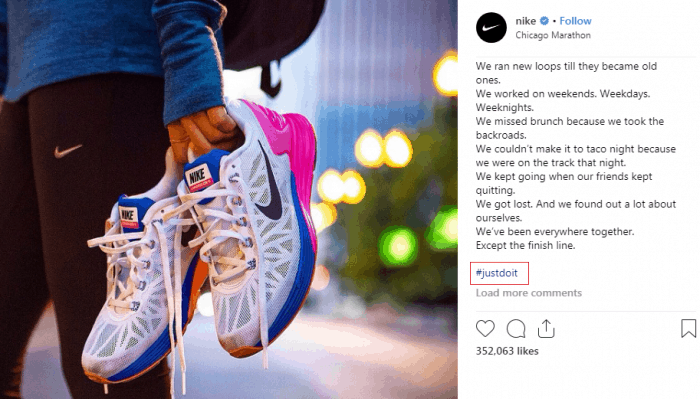 With websites and brands, they can associate and create a personal hashtag all associated with them or they can turn their own product name or their product tagline into a hashtag to get more searches for example – #Nike or #JustDoIt is easily related to Nike and anybody reading it can easily understand that the post is related to Nike or Nike accessories or footwear. Though to create and enjoy such huge brand recognition may take time but it still is trending your posts on social media platforms. As you can post your brand stories, images and post with a hashtag referring your brand or product. Chatbots are a real delight to the customers. Many companies made it so easy for their customers to interact with their chatbot services through which they can interact with their users directly. Chatbots are responsive, accurate and helpful in more ways than one can think of, it makes sure that the ends meet. 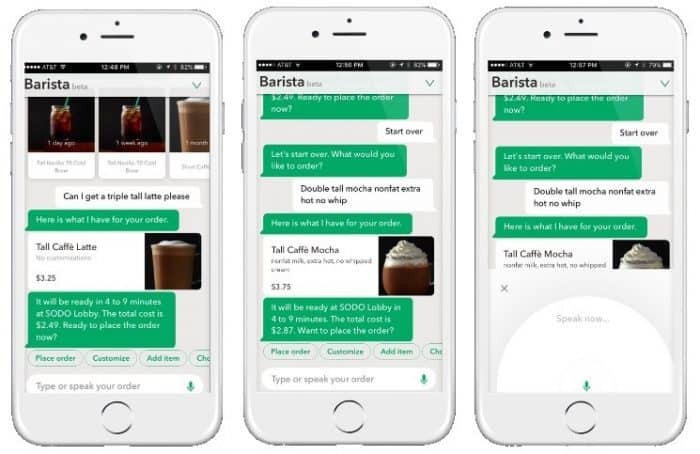 For an example – Starbucks made it awfully simple and delightful for their customers to order, interact and even to wait for their orders, by using voice commands or text messaging. Personalized content, products, emails, and what not? With access and study of consumer behavior, relevance to data history, choices, likings, and links clicked, custom-made content is a novelty. In fact, 96% of advertisers trust that personalization advances client relationships. Websites like Amazon Prime and Netflix are already showcasing the power of personalization. Apart from the content itself, everything which is there on your Amazon Prime account is a personalized content screened and selected just for you. 70% of consumers say that they have shared a brand’s video on video sharing platforms. 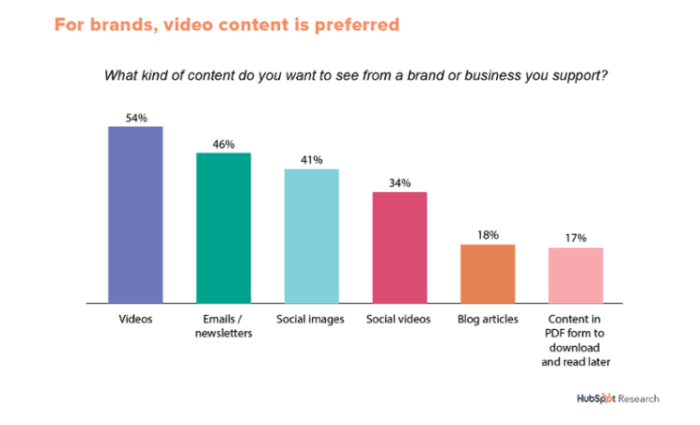 72% of businesses say videos has improved their conversion rate. 52% of consumers say that watching product videos helps them to take product buying decisions. In B2B business 65% of director visit the marketer’s website and 39% call a seller after viewing a video. With such high statistics, it is easy to say that videos do influence you much more than just a normal post or picture. Not only on Youtube but to create higher engagement with your video marketing, you can make a video post or start a live broadcast on Facebook, Instagram or LinkedIn. If you put a name behind a quote, people start taking it seriously. Well, that is the basic funda of influencer marketing. People recognize faces and always have a role model to look up to. They follow, share, comment, binge watch videos of their favorite YouTubers, celebrities, actors, actress, writers and speakers. And famous personalities do bring fame to your products and brands for sure. From brand ambassadors to guest speakers, everything you can get your eyes on and can connect to is converting into influencer marketing. Though it is not a new thing for 2019, social media still has a long way to go. Social media has not only influenced people but have made them obsessed about it. From the first picture in the morning to the last video at night, everything which an individual sees on social media, whatever he likes, shares and comments on is observed by his or her mind and stays there for a long time. It won’t be wrong to say that digital marketing relies on social media apps and platforms big time. Social media platforms and apps are a vital pillar to digital marketing aspects. Visual search took the user experience to a totally new level of browsing. With visual search, you can put pictures of things and search for it as to where you will find it? From where you can buy it? What is this about? And so on and so forth. Pinterest came out with Lens, a visual search tool that allows users to take a photo of an item to find out where to buy it online, search for similar products, or view pinboards of related items. For instance, you can get details of rare artefacts, paintings, monuments, outfits, places to visit, business contacts and many more. 2019 can be the year of stories, people share live moments and work of the day pictures & videos with their followers & friends on almost all social media platforms. It is imperative to be present, visible and to leverage your brand on Instagram, facebook & other social media platforms that’s how you reach the target audience to build goodwill and recognition for your page and services. Stories are only updated for 24 hours a day, which not only makes them exclusive but also create a certain kind of urgency to attract the maximum number of views to it. Everyone wants to see it, wants to know about it and hence the brand gets a new and exclusive publicity every single day. A proper social media marketing always benefits the business for the long-term. Social media platforms help to keep engage users and divert them from social media pages to your website. The marketing strategies have reached a new zenith and have so much evolved by the time that we simply can’t even imagine. Inbounding marketing is the art of attracting viewers and potential customers to the brand with the help of well-optimized content and customized offerings to users. Inbound marketing with the help of landing pages, call to action and forms, attracts people and tries to convert them from just viewers to qualified leads. With the help of good content, publishing posts and sharing links that are the very interests of your target audiences you align to their moods and choices which itself is the sole purpose of creating an inbound marketing plan. Everything that can be used by a brand to influence and attract more and more viewership and building a name for it like blogs, infographics, newsletters, articles, links, posts, video marketing, influencer marketing is a form of inbound marketing. Basically, inbound marketing works as a magnet of good content and customisation which pulls the users to your brand and is very beneficial in establishing the brand in the long-term. Google is using the mobile first indexing for websites, which is helpful in many ways as firstly it makes sure that a website must have a good mobile version website to rely on, Thus google initially adds the mobile version in its index and thus a good mobile-friendly version of the website is necessary to keep the ranking of the website in the google searches get high and get going. A good mobile version is important as a large part of the audience uses the mobile for searches and nobody has the time to sit and explore on a desktop, so it also makes it clear that all the content that is available on the desktop website must be accessible on the mobile version as well. Keeping track and participating in all these categories indiscriminately will certainly bring the development a business seeks in digital marketing. A good presence on the internet is half work done. Digital marketing is the only market where you can find different free of cost tools to make sure your business is going in the right direction that is north and north of course. Prakhar Gajendrakar is a passionate and enthusiastic content specialist at Walnut Folks. He loves writing short novels and blogs and is a connoisseur of Urdu poetry. As an aspiring filmmaker at heart, he ardently follows the works of Anurag Kashyap, Gulzar, Piyush Mishra and Christopher Nolan. When not found at his desk, you can expect him to be either dancing to an upbeat Bollywood number, or humming some Sufi tunes.